The AECB PHribbon — a set of tools for PHPP users — has grown, and some of the existing tools have been improved since September. 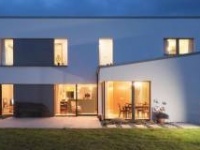 PHribbon is designed to greatly speed up PHPP (the Passive House Planning Package) and add extra functions. Half the tools are for data entry (new build or retrofit) but now it also includes a daylight factor calculation, written by Mark Siddall of LEAP, and embodied CO2 calculations. 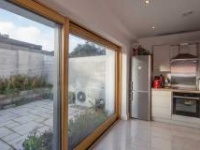 It’s designed to make things easier and simpler, though it also has features for the most advanced users, and many of the buttons are designed to also work with Variants too – a tool developed by the Passive House Institute to enable designers to simultaneously model multiple design options. There is a dialogue for entering λ-values (also known as k-value or thermal conductivity) which are the building blocks of U-value calculations. To help get to the one you want quickly these have been grouped into category buttons. Pressing on one of these buttons shows just the items in that category. Three are by material type — ‘masonry’, ‘insulation’, and ‘other’. Another three are for special situations — ‘below DPC’, ‘Floor’ and ‘Roof’. Users can go directly to the BBA certificate to obtain λ90/90 values, if the product has one, or else a record of where the figure was from. BBA certificates are generally available for insulation materials and certifiers usually require them for certification. Users may like to have their own lists of λ-values because architects do have preferred and familiar construction methods, and the way people think and categorise things can vary. Therefore, a huge amount of flexibility is built in. There are three completely empty category lists for users to name and fill as their own. The name they give appears on the button in the dialogue, replacing the one, two or three currently there. If that’s not enough they can also redefine three of the other buttons. Items can be in more than one category and the category can be changed. Users can add any number of their own materials. The window tool, meanwhile, essentially allows complex windows to be defined by just four numbers. Now it has been extended so that it also writes all the main parts of the shading calculation too. This just means a few more options to the right of the dialogue. It also allows dimensions to be in mm or m, it will automatically detect which. A particularly neat feature is it writes figures as formulas, so you can change the dimensions of the window without having to redo the calculation. Clients love bright houses, but there can be a tendency to overdo the window-sizing when it’s not actually needed. Clients also don’t always think about the energy consequences of large windows. Generally, a good window will have a U-value about five times worse than a good wall, so the knock-on effect of windows that are all bigger than they have to be is expensive windows and more insulation to compensate. That’s why daylight factor calculations are really useful, they allow the designer to check, and adjust if necessary. Mark Siddall has put a great deal of time into perfecting his daylight factor tool, a separate spreadsheet largely written using a button on the toolbar. It works to the relevant British Standard. Once results have been calculated these can be used to adjust the original window sizes. If windows have been put in with the window tool, then changing the dimensions of windows automatically adjusts all the shading figures (they are formulas) without having to redo them. Within the AECB there is interest in keeping embodied CO2 low, if possible, through the choice of materials. 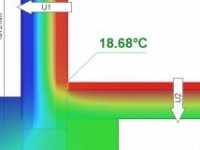 Calculations were done for three standard house types for the AECB Carbonlite retrofit course. Very similar calculations can now be easily done for any PHPP with a new button and corresponding materials library. In fact, the calculation can go much further than the original AECB ones. It now includes all parts of the construction, PV panels, pipes, ducting, cabling (not generally significant) and plumbing fixtures, yet can still be done in around 20 minutes. 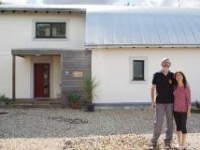 The passive house community is frequently open to sharing project information. It helps our sector grow, and it could save you time in your next project. The libraries of k-values, costs of items for retrofits (optional) and embodied carbon can be shared with other users through a central Google docs page set up for PHribbon users. Users can copy parts of their lists to the Google doc. Likewise other users can copy and paste into their own versions. As before, affordability is still a main concern, and therefore the software is modular. The basic new build tools are £45, and various options can be bought as modules as needed.